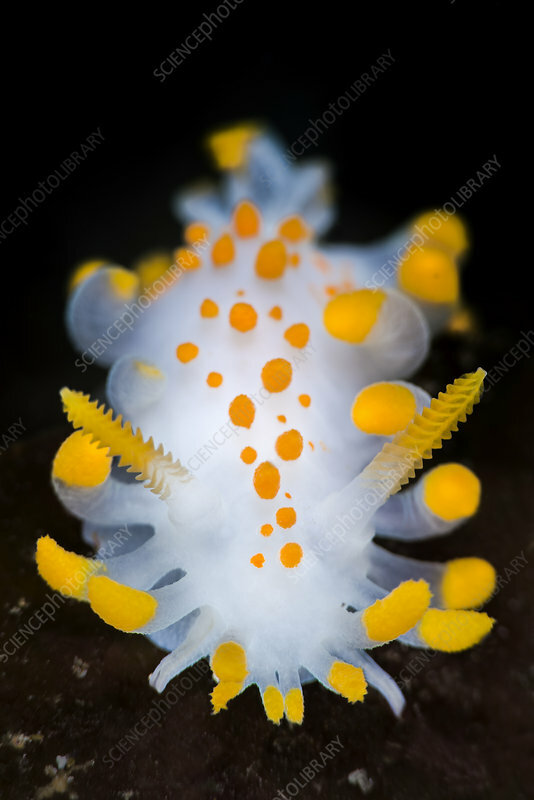 A portrait of a nudibranch ( Limacia clavigera) searching for food on algae. Gulen, Norway. North East Atlantic Ocean.